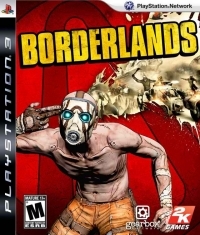 Description: A sci-fi/action RPG from acclaimed developer Gearbox, Borderlands combines the best in first-person action gaming with elements of a traditional role-playing game (RPG). The excitement of this hybridization is further magnified by the game's groundbreaking content generation system which allows for a near-endless variety in missions, environments, enemies, weapons, item drops and character customization, making the game's single player, multiplayer and online campaigns not to be missed. This is a list of VGCollect users who have Borderlands in their Collection. This is a list of VGCollect users who have Borderlands in their Sell List. This is a list of VGCollect users who have Borderlands in their Wish List.